I've been away from the old craft table way too long, but I'm happy to say that I'm back and I'm ready for Fall! 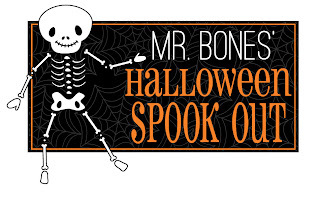 And ready for Halloween! 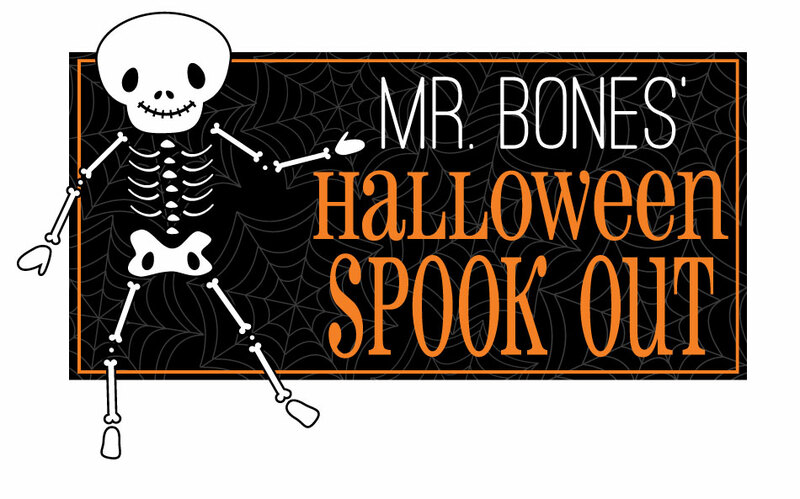 Halloween has always been one of my favorite holidays and today I've got a couple of ghostie projects for you! This first project could not be easier! It's a votive/favor box. I used my Silhouette to cut a favor box but you could certainly use a handcut template. 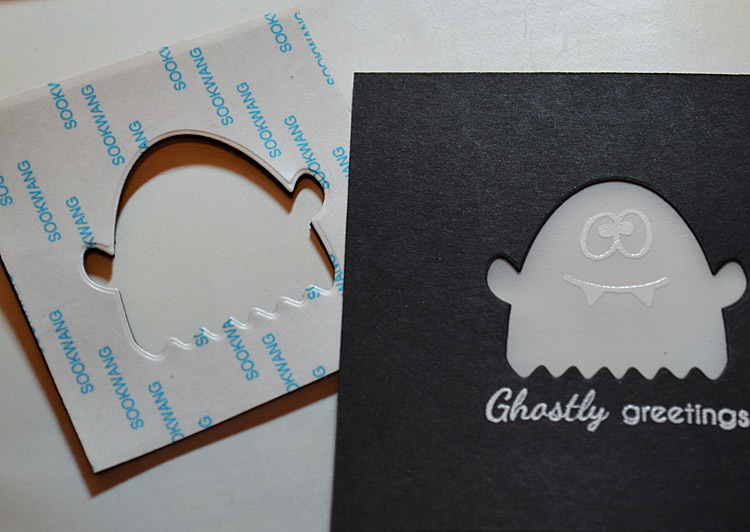 After cutting out the box template, I used my new ghost die and cut a ghost into each side. 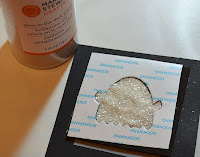 The faces were embossed on pieces of vellum that were attached to the backside of each ghost die cut. The coolest part is what's inside! I put a color-changing, flameless tealight (repeat, flameless, lol!) inside the box. So...much...fun!!! 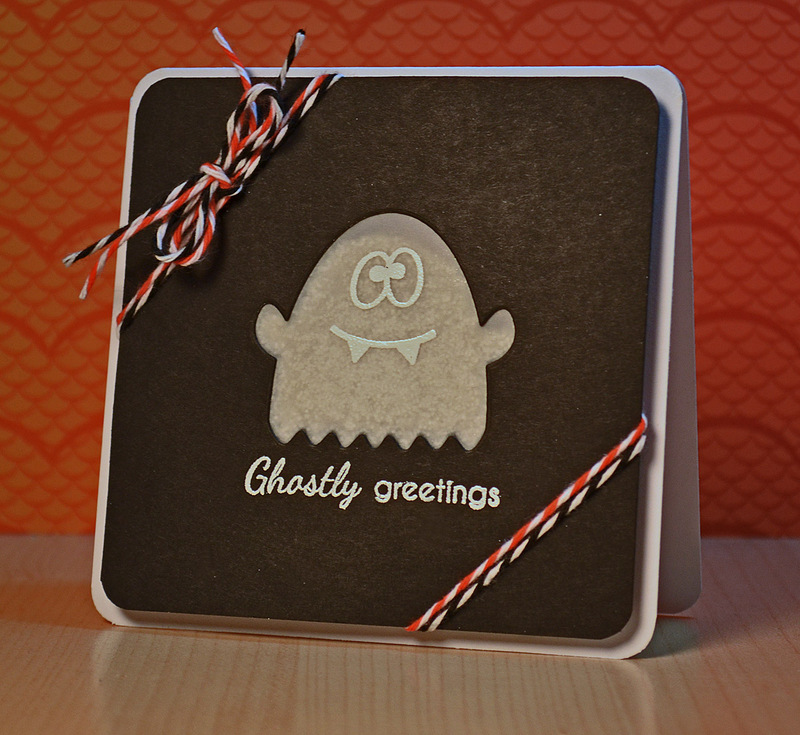 Keeping with the glowy theme, I also made a ghost mini card. Same principle as the favor box. Die cut the ghost and back with vellum. These projects are so fun and creative! Who knew you could buy glow-in-the-dark glitter! 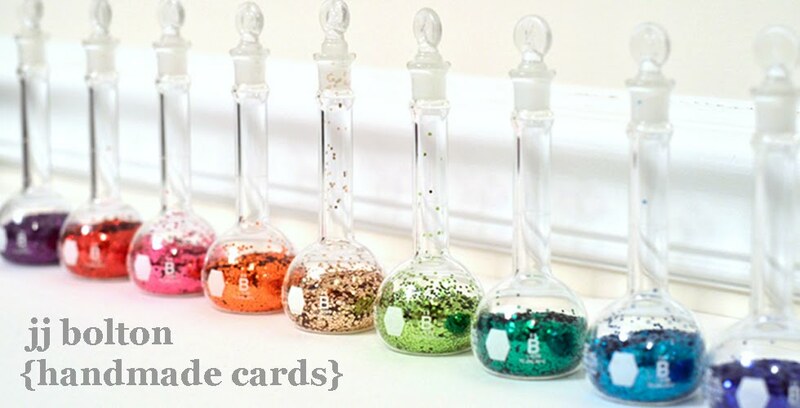 JJ - These are so fun - you're making me want to go get some glitter like nOW! 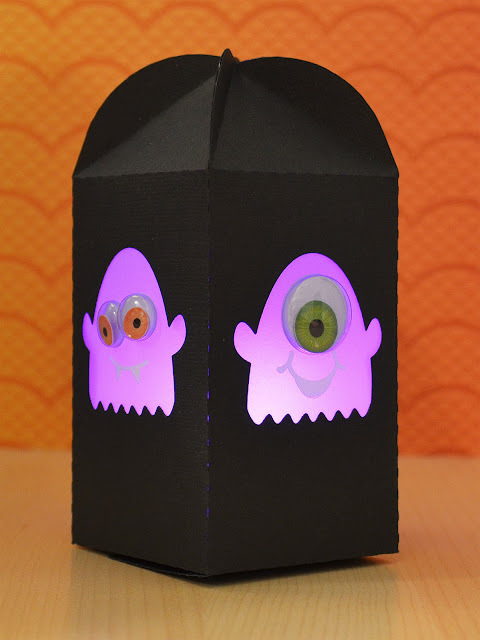 Love the ghosties with their big eyes - but the glow in the dark is the BEST! I gotta try this! Fantastic projects JJ! I didn't know there was glow in the dark glitter either. Such a COOL card! LOVE it! Love these projects! And haha on killing yourself to get that last photo - it was worth it! All of your projects are so cute. 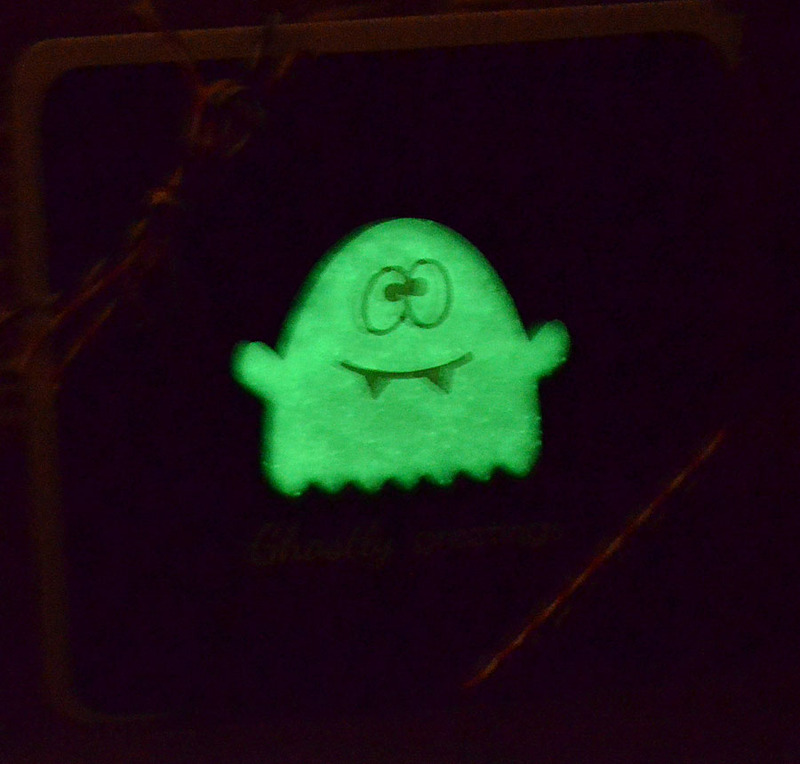 I especially like your glow in the dark ghost. You are always amazingly creative! These projects are so fun! Great idea with the changing light and the glow-in-the-dark glitter! That's a perfect use for vellum and I love those googly eyes too! That tea light is brilliant! TFS! Both are fantastic and so super creative. Love the votive holder and that card is so cute too. JJ I love the boxes and the card! Whatever you did to get that picture seems to have worked! Lol. Glow in the dark glitter? WHAT? Craziness! And those eyes, what fun projects! Well, I guess we'll let you off the hook for leaving us high and dry for so long since you've posted such a FANTASTIC, WONDERFUL project! Good golly. Putting a battery operated, multi-colored flameless (haha, good thing no flames) candle behind the vellum is GENIUS! Absolutely love it, and your endless creativity, JJ! These little monster creations are too fun! Love 'em! Putting the multi-colour tealight in there is so cool - the regular flameless ones are pretty neat, but colour changing???? Love it! And those googly eyes are beyond awesome.